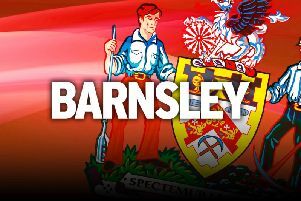 Josh Scowen is desperate to get the job done as Barnsley bid to secure their place in the play-offs. The Reds go up against Colchester United this afternoon knowing that if nearest rivals Gillingham and Scunthorpe lose, a top six place is guaranteed. And with their destiny in their own hands, Scowen says he and his team-mates are firmly focused on extending their season. “If the results go our way we’ll be in there, but we can’t look at it like that,” stressed Scowen. “We’ve got a job to do to get the three points after that we’ll look where we are. “We’ve got two big games coming up we’ll be looking to win both of them. “It’s nice that it’s in our hands and if we win both games it’s guaranteed. Wigan are top of the league and Colchester have nothing to play for so that could work against us. Scowen, a midfield man by trade, has slotted in at right-back in the last three matches after a string of injuries to Barnsley full-backs. He had been kept out of central midfield by in-form duo Conor Hourihane and Josh Brownhill, but has settled in to the back four brilliantly, playing his part in three consecutive clean sheets. And the former Wycombe man is just pleased to be back out in the pitch after being mainly reduced to substitute appearances since returning from injury. He added: “Browny and Conor have been excellent, I can’t say anything bad about them. “It’s nice to be playing again no matter where it is, I like to play. “I’ll play anywhere the manager puts me. It’s not nice being on the bench but sometimes there’s nothing you can do about it. Scowen is expected to keep his place in defence with Aidy White, James Bree and George Smith still out injured. Marley Watkins will also miss out, as will long-term absentee Ryan Williams.